This exhibit explores the life around hydrothermal vents at active spreading ridges. Until 1977 life on the ocean floor was considered to be sparse or non existent. Then a team of scientists discovered life at hydrothermal vents near the Galapagos Islands. Hydrothermal vents support life that does not directly rely on sunlight for energy. 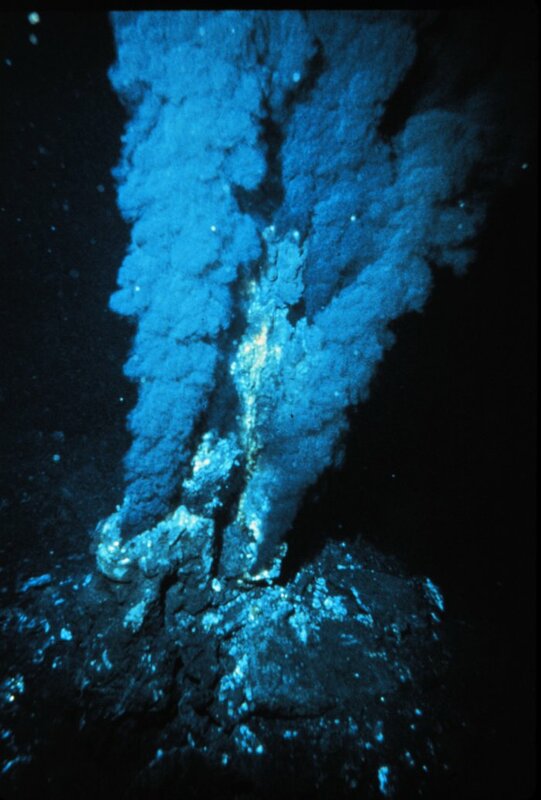 Hydrothermal vent fauna instead relies on energy that is produced by the earth. The fact that life can exist without sunlight means that the possibility of life on other planets within the solar system is not remote. To find out more explore these links.